Jarre tapped the whistleblower for vocals on "Exit," a track from Electronica 2: The Heart of Noise, a new electronic music album that drops in three weeks. 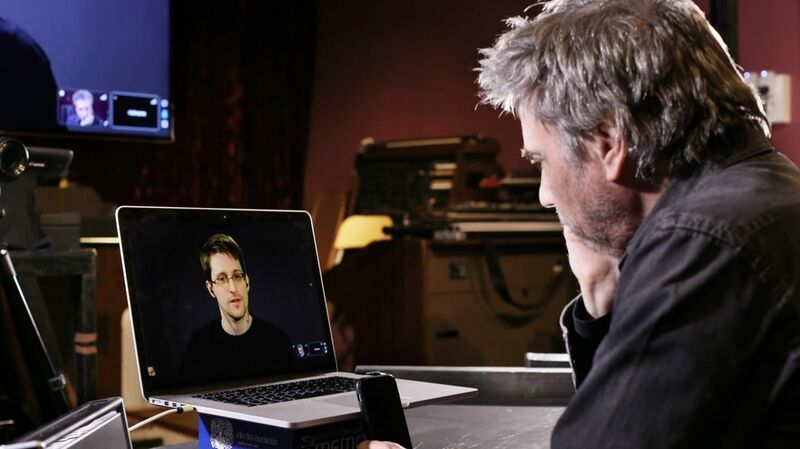 Snowden says that as an engineer, he never felt very cool, and was gratified for the chance to rock out with the electronic music pioneer. Other collaborators on the album include Cyndi Lauper, the Orb, the Pet Shop Boys, Peaches and Julia Holter. The double-edged sword that technology presents is a central theme and the "core message" throughout "Exit." "Technology can actually increase privacy," Snowden, with his voice subtly and eerily modulated, says on "Exit." "The question is: Why are our private details that are transmitted online, or why are private details that are stored on our personal devices, any different than the details and the private record of our lives that are stored in our private journals." Later on the track, Snowden warns over an icy drone, "Saying that you don't care about the right to privacy because you have nothing to hide is no different that saying you don't care about freedom of speech because you have nothing to say. It's a deeply antisocial principle because rights are not just individual, they're collective. What may not have value to you today may have value to an entire population... If you don't stand up for it, then who will?" After a layered, frantic interlude by Jarre, Snowden concludes by again asking, "If you don't stand up for it, then who will?"